Making a home is a lifelong pursuit and it starts with your very first place. 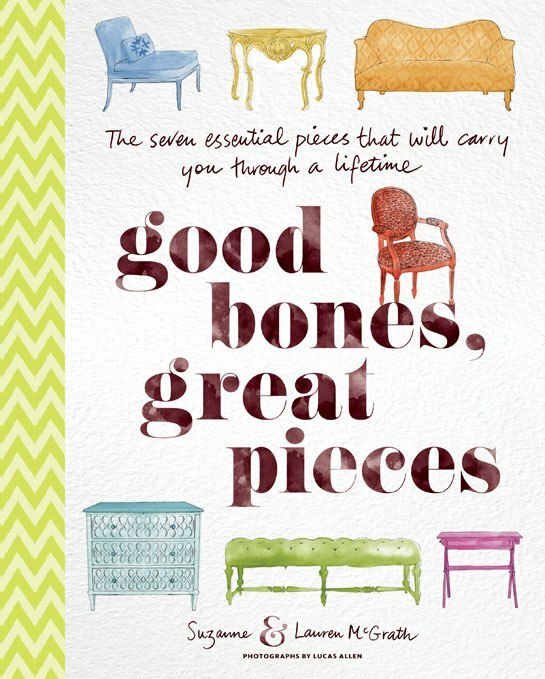 Good Bones, Great Pieces shows you how to make the best choices for a comfortable and welcoming home. Suzanne and Lauren McGrath, a mother-daughter design team, operate the popular blog Good Bones, Great Pieces. At the core of their philosophy is the belief that every home should have seven essential pieces that can live in almost any room and will always be stylish. The authors explain how to place iconic items of furniture like the love seat and the dresser and rotate them throughout the home as the style or need changes.